This month we are delighted to celebrate the success and hard work of our JustOT locum, Jun. 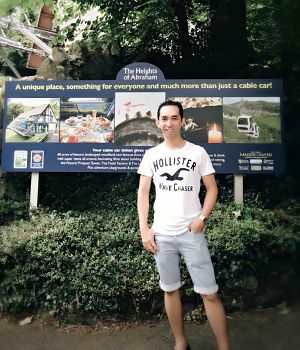 Jun has been working with us since 2016 and has been a fantastic locum to work with, he is always enthusiastic and puts 100% into everything he does which is reflected in the glowing feedback we have received. Jun was nominated by our JustOT recruitment consultant Julie who added “Jun is a real charmer and a pleasure to work with, he thoroughly deserves the recognition for his achievements”. Personal achievements within the role? The self-fulfilment of helping people to be able to get back home with the right support and equipment needs. This role also helps me gain further knowledge in different OT settings, acquiring information of services provided by different NHS Trusts and Local authorities and gaining more networks of friends. What do you enjoy about being a locum? I enjoy meeting new teams and liaising with different networks of health professionals. The flexibility of working as a locum gives me the chance to have more quality time for my family and myself, plus the advantage that it gives financially. Most memorable moment within your career? The most memorable moment for me happened recently on my birthday (14/6/17). I was working on this day and was supposed to be going home early but I had to drive a patient using my own car to her interim placement. The patient had a total hip replacement and on the time of discharge, as her family were away on holiday, the patient had an interim placement arranged at a Residential Care Home before going back home. Unfortunately the transport turned up too early so she was unable to go. She was really upset as she was so keen to be discharged that day but the next transport was not available until that evening and the Care Home only admits until 5pm. I volunteered to drive the lady in my own car and went home late that day. I found out a surprise party was waiting for me and my wife, friends and family has been waiting all along. The next working day I received an appreciation letter from that patient and her family.